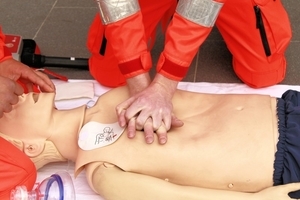 This course teaches the skills and knowledge required to perform cardiopulmonary resuscitation (CPR) in line with the Australian Resuscitation Council (ARC) Guidelines. This course is developed for people who may require CPR training as recommended by the Australian Resuscitation Council. It is recommended this unit be renewed every 12 months in line with the Code of Practice standards. Course inclusions Requirements for Completion Participants are required to attend 100% of this CPR training and take part in all assessments. $60.00 per participant. Call us on 0416 888 343 for group bookings.